New Products — This section will be in the top section of our newsletter Dinghy Digest. Our web site visitor statistics show that our New Products category is one of the most visited sections of our web site. Your listing in Dinghy Digest will contain information about your product and will be linked to a complete story on our website about your product. Your story will contain complete information about your product as well as contact information for your company. The cost of placing your product in Dinghy Digest is $100 per edition. 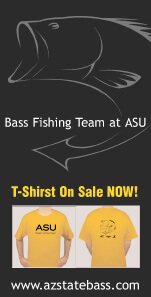 March 23, 2010-Simi Valley, CA: Making its debut at the 2010 Bassmaster Classic the �Shark Tooth� was a perfect pair with winner Kevin VanDam who not only won his third Classic but had signed on to endorse one of the most innovative ideas to hit the fishing industry in a decade and has now been named the �Best of Show� for the 2010 Fred Hall Fishing Show� both this seasons big winners! The �Shark Tooth� Leader Control System originally developed for the fly fishing industry has taken Bass/Freshwater and Saltwater anglers by storm. �Everyone who sees it� does a double take, smiles, some of them slap their forehead and then buy atleast 3� says Bob Holt, inventor/partner of the �Shark Tooth�. �I�m an avid fly fisherman and just like everyone else, I had to deal with spools of tippet on a lanyard around my neck bulk spools in my boat that continually wanted to unravel, tangle and get caught in my nippers as I was trying to cut the one I needed.� After many sketches, hand carvings, free wax molds and assorted prototypes I came up with the �Shark Tooth�. The �Shark Tooth� Leader Control System simply described is an elastic band in four sizes made to work with all types and sizes of line on spools from tippet to bulk braid with a molded plastic �Shark Tooth� that allows the user to position it on the spool drawing the line through the hole, creating tension as you unspool it and then the stainless steel cutter, cuts the length of line you need leaving a 5/8 inch tag line each time. The �Shark Tooth� keeps your line on the spool, helps you load your reels, manage your line and tippet and eliminates the need for nippers and line waste. �Wanting to take this to the next level, I sent it to my cousin Jesse (who also is an avid fly fisherman) we put it to the test ourselves and with our family and friends made the leap into the fishing industry,� say�s BBT (Bobby Brown Trout) �I made a call to Kevin VanDam as soon as he had one in his hands he was all over it.� Immediately, Shark Tooth was getting the endorsement of one of the top anglers in the world. Patents in place, the motivation to share his invention and the support of the Holt family the �Shark Tooth� has been received with such enthusiasm at the Bassmaster Classic and the Fred Hall Show in Long Beach that the second round of production has begun and the next phase of �Shark Tooth Technology� will be coming soon. The FISHCLIPPER� concept was developed due to a need to improve safety while fishing. This safety clip is a quick and simple way to protect you and others from hook related injuries. The FISHCLIPPER� is the first product to incorporate a familiar clipping function that is easily clippable and removable. This allows you to transport your fishing tackle lure and hooks safely and securely while still attached to your fishing pole. The FISHCLIPPER� is made from a durable lightweight ABS molded plastic and finished with a professional metallic silver paint. Assembled, packaged and shipped in the USA, there is no substitute for the original FISHCLIPPER�! Proper ventilation is always important on an RV, but it's needed even more when the weather is less than ideal. Allowing ceiling fans to run despite rainy weather, MaxxAir Vent Corporation's improved Fan/Mate models 850 and 950 rain covers completely enclose a roof fan or roof vent. They provide fresh air while also offering excellent rain protection for the rig's interior. With a vent area 20% larger than the previous version, the new Fan/Mate models 850 and 950 ensure even better fan performance by allowing high-volume air-flow. Their redesigned louvers and protective, galvanized screens serve as a superior safeguard against rain and keep wind-blown leaves and debris out of the fan's blades. Due to the covers' convenient, hinged mounting brackets, opening the Fan/Mate cover doesn't require any tools and allows easy access for servicing the fan. Designed for use with high-powered ceiling fans, such as a Comfort Air Fan and Fan-Tastic Vent, the Fan/Mate is offered in white or black to accent custom-painted RVs. Constructed from high-strength polyethylene with UV inhibitors, it's built for years of service. Each unit comes with a three-year limited warranty and measures 32.5" L x 20.5" W x 9.93" H. MaxxAir's Fan/Mate has a starting retail price of $79.95. The black 950 model starts at $109.95. Contact MaxxAir Vent Corporation, 5513 W. Sligh Ave., Tampa, FL 33634, USA. 800-780-9893; Fax: 813-876-2550. CustService@maxxair.com; www.maxxair.com. After extensive testing, Fleetwood RV will offer innovative Aqua-Hot Hydronic Heating Systems on its American Coach and Revolution LE models. Aqua-Hot sales and marketing manager Harold Ogden made the announcement. "This relationship gives us the chance to partner with a premier RV manufacturer," said Ogden. "By working with an industry-leading company that produces superior motor homes, such as the luxury American Coach line, we can continue making the road a more comfortable place." Adding value to RVs for over 20 years, state-of-the-art Aqua-Hot Hydronic Heating provides unlimited hot water and quiet, evenly-distributed interior heat. Aqua-Hot 600-D, 450-D and 375-D systems will be available on the 2010 American Heritage, American Eagle, American Tradition, American Allegiance and Revolution LE brand motor homes. "Aqua-Hot's quality and brand name recognition with our owners is a tremendous asset and complements our product offering," said John Draheim, president and COO of Fleetwood RV. Contact Aqua-Hot Heating Systems, 15549 E Hwy 52, Fort Lupton, CO 80621. 303-659-8221 or Toll free: 800-685-4298; Fax: 303-857-9000. sales@aqua-hot.com; www.aqua-hot.com. Without proper maintenance, all types of boat surfaces are susceptible to mold and mildew growth. Owners can easily get rid of these infestations with Shurhold's Moldaway and #272 Brush. When used together, these products can make a wide range of items, from fabric seating to dock boxes, clean in a snap. Shurhold's Moldaway is a powdered, oxygenated cleaner that removes stains from mold, mildew, algae, dirt, blood, food and drinks. Free of bleach and chlorine, it's safe on most colors and fabrics, including vinyl, canvas, plastic, carpeting, cushions, sails and wood. To effectively remove these ingrained stains, Shurhold's #272 Scrub Brush gets the job done. Featuring an ergonomic handle, this handheld scrubber also has a safety bumper. Lightweight and soft, the knuckle-saving handle helps users get rid of mold and mildew quickly. Shurhold's Moldaway is priced at $12.98 for a 12 oz. jar and the #272 Scrub Brush is $7.35. The new Vantage Vue weather station from Davis Instruments features Davis' legendary reliability, accuracy and ruggedness and is more affordable and easier to install than ever. It provides real-time, local weather monitoring with alarms, graphs and loads of weather details. Vantage Vue works with Davis' WeatherLinkIP software to create a personal weather website for the unit and connects it to a global network of Davis weather stations. It's perfect for people who want to monitor weather conditions at their home, lake house, marina, yacht club or dock. The versatile Vantage Vue employs frequency-hopping spread spectrum radio technology to wirelessly send data up to 1,000' to the console. With an easy-to-read, backlit, 3" x 4-3/8" LCD screen, the advanced console displays indoor and outdoor temperature and humidity, barometric pressure, wind speed and direction and rainfall. The console offers over 50 on-screen graphs and allows 22 different alarms to warn of dangers, such as high winds, possible floods, freezing temperatures and rain rate. Built for the harsh marine environment, the rugged Vantage Vue outdoor sensor suite records wind speed as low as 2 mph and as high as 180 mph. Solar-powered, it features a stored energy backup. Electrical components are sealed for protection against the elements. A compact, integrated design ensures a straightforward installation. Economical, Davis' Vantage Vue has a suggested retail price of just $395. It's also compatible with Vantage Pro2. It's always a good idea to keep multi-purpose tools readily available. Beckson Marine's Shipmate Stainless Steel Pick/Probe is capable of splitting the smallest ice pieces while also serving as the perfect hole starter. It's also great when camping, fishing or even when serving cocktails at a party. This stainless steel blade does not flex under normal use. Shipmate's special handle design fits almost everyone's hand size and is shaped to prevent accidental roll-off from counters and decks. The handle is constructed from unbreakable marine plastic, resulting in a lifetime of trouble-free service. Each pick comes with a sheath to protect the blade during storage. It is also available in a gift box with a sheath, mounting clip and two screws for easy installations anywhere. All materials and components are manufactured in the USA. Prices for Beckson Marine's Shipmate Stainless Steel Pick/Probe start at $13.25. 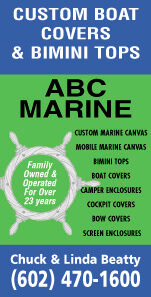 For over 50 years, Beckson has produced high-quality marine equipment and accessories. The company manufactures an extensive range of superior products, including pumps, ports, hatches, vents, deck plates, fasteners and hoses. After pumping the bilge, there's usually still some water left behind, resulting in odors, mildew and damage from the condensation. Now owners can stop worrying and relax in a boat that doesn't smell like a boat. Arid Bilge Systems' patented Series 4 automatically maintains a dry bilge at all times. Eliminating wet vacs and bilge diapers, small, customized pickups are placed throughout the different bilge compartments where they act like the perfect crew member an owner never had. All the residual water will be gone in a matter of hours, maintaining the bilges bone dry. Available in three or four zone configurations, this system measures 15" H x 6" W x 7.5" D with a dry weight of 15 lbs. Operating on 12V or 24V DC, it can pump a maximum of 10.2 gallons of water an hour. 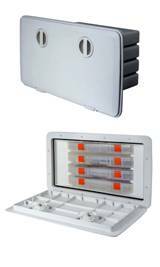 The main unit is available in black or white air-injected PVC plastic. Featuring single-point discharge, the Series 4 can be T-connected to an existing overboard thru-hull. Alkon push-lock fittings and Mazzer polyethylene tubing are used to attach the central unit to the remote pickups. Arid Bilge Systems' Series 4 has a starting price of $3,300. The company also offers multiple units to fit a wide range of applications. 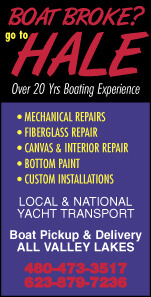 Contact Arid Bilge Systems, Deerfield Beach, FL 33441. 954-328-9705. al@aridbilge.com; www.aridbilge.com. Achieving a polished appearance after mounting accessories shouldn't be difficult. Accon Marine's Shims, Curved Shims and Gaskets enable owners to simply place bimini hinges where they're needed without sacrificing style. The 401-S Curved Shims enable the company's Quick Release Bimini Hinges to be fitted to 1.9", 2.36" and 3" diameter tubing. Designed in silver or black, they match both stainless steel and aluminum and are constructed from UV-resistant plastic. Accon's 401-3 Shims are great when mounting the Bimini Hinge at a 10� angle. Two Shims can be used for a 20� angle. Available in neutral and black, they're also made from UV-resistant plastic. The company's stylish 401-G Gaskets help create a more finished look when installing bimini hinges. Separating dissimilar metals, these gaskets are offered in white or black. The Shims, Curved Shims and Gaskets are all easy to install. Owners simply place the shim or gasket on the curved or straight surface below the bimini hinge and fasten with two #10 screws. Accon's 401-S Curved Shims retail for $2.84, while the 401-3 Shims cost $2.24 and the 401-G Gaskets are priced at $1.02. Drinks and snacks are never too far away with Weekend Products' Bev Barge, a floating island enabling swimmers to safely store beverages on the water. With the company's new, innovative Tray, owners can easily replace the cooler in the center and create even more space to set drinks and snacks. The removable Tray increases the size of the already existing serving areas on the Bev Barge. This Tray adds the convenience of not having to leave the water to get a drink. Constructed of high-quality, rigid plastic with powder-coated aluminum handles, it provides over 2 sq. ft. of additional space. The non-corrosive handles can be custom-colored and make the accessory easy to carry. Gaps on the sides of the tray enable water drainage. Featuring a non-slip surface, drinks won't slide off into the pool. It can be customized with logos. The patent-pending Bev Barge is the only rigid party island on the market. It offers two recessed serving areas and twelve cup holders and includes an umbrella and eight inner tube attachment lanyards. The Tray from Weekend Products retails for $24.95, while the Bev Barge is priced at $249.95. It comes with a cooler, umbrella, eight lanyards and two inner tubes, as well as a three-year warranty. 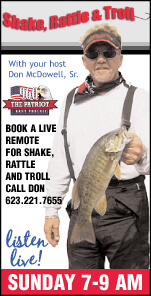 Contact Weekend Products, 200 Terrace Dr, Mundelein, IL 60060. 866-403-4396. sales@weekendproducts.com, www.weekendproducts.com. 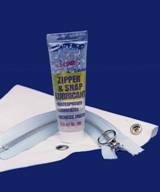 Bringing high-quality shrinkwrap and accessories to its customers since 1983, Shrinkit, LLC, has expanded its product line to the marine marketplace. Dedicated to first-rate service, the company is based in Linden, New Jersey and offers everything needed to wrap a boat for storage or transit. Shrinkit, LLC has also enhanced its website, www.shrinkit-inc.com, to make online ordering even easier. Offering shrinkwrap in white, clear and blue to meet the requirements of varying climates, ShrinkIt, LLC carries premium materials that can withstand harsh marine and environmental conditions. Constructed from 100% virgin resin, the shrinkwrap also contains maximum UV inhibitors for long-term storage. For beginner wrappers, its website offers step-by-step instructions on how to apply shrinkwrap. Training videos are also available online. For 26 years, Shrinkit, LLC has supplied high-quality products to its customers. Dedicated to great service, the company is always willing to provide experienced advice on the proper way to wrap. Contact Shrinkit, Inc., 103 North Wood Ave, Linden, NJ 07036. 800-227-3998; Fax: 908-486-4084. shrinkit1@gmail.com; www.shrinkit-inc.com. Offering the possibility of recording amazing moments, Aqualuma Underwater Lighting's LUMA-Vu Underwater Camera enables owners to document an amazing catch during a tournament or simply watch the aquatic environment below from the comfort of their saloon or bridge. Enhancing life while out on the water, this camera provides an underwater viewpoint from a perspective never before available. The camera can be connected to entertainment systems, or to an electronics screen which supports video inputs in a wheelhouse, making viewing underwater life even easier. By simply flipping the switch on their Aqualuma Underwater Lights, owners can continue the show into the night, viewing fish schools in the glow. When competing in tag and release fishing competitions, the camera can also help validate a big catch, possibly securing the tournament win. The high-resolution color CCTV camera's bulletproof housing is manufactured with the patented Aqualuma corrosion-proof, high-tech, molded polymer housing. It comes in either NTSC or PAL formats with a very wide angle 3.6mm lens. Operating with a current of 130mA and requiring a DC 12V power source, the LUMA-Vu Camera is 4.35" in length and needs a 2.36" hole for installation. It comes with 49' of video and power supply cable and an unmatched 2-year warranty. Aqualuma's LUMA-Vu Underwater Camera has a retail price of $1,250. A leader in marine ventilation technology, Delta "T" Systems has just made another industry advancement, greatly improving a vessel's engine room environment. Rugged and reliable, the company's state-of-the-art C2 Control System enables manual variable speed control of one or more three-phase fans with an advanced touch-screen interface. Providing extra safety onboard in case of fire, the versatile C2 Control System has the capability to shut down all engine room fans when the fire suppression system discharges. Emergency ventilation shut-down and override switches are also included. Depending on the power available, the control can be configured to accept both single- or three-phase input power to the adjustable speed drives. All of the company's controls and components are fully bench- and load-tested. Delta "T" Systems offers complete engineered ventilation systems, as well as fans, blowers, dampers, closures, moisture eliminators, vents, control systems and accessories. Its innovative products are found in commercial, military and pleasure boats around the world. Contact Delta "T" Systems, 858 W 13th Ct., Riviera Beach, FL 33404. 561 204 1500; Fax: 561-848-1611. info@deltatsystems.com; www.deltatsystems.com. When it comes to shore power, one size does not fit all. Cords that are too long end up draped over pilings or in the water, creating dangerous situations. That's why Hubbell Marine offers its 30amp, 125V Ship-to-Shore Cable Sets in 25' and 35' lengths in addition to the standard 50'. Available in yellow or white, the reliable 30amp Ship-to-Shore Cable Sets are packed with high-performance features. Completely factory pre-wired with #10 AWG, they are vinyl-jacked with molded-on devices and encased in PVC material for superior durability. Designed to coil easily and lay flat, the flexible sets prevent right-angle damage and pullout. A bull ring guards against stress and strain caused by boat movement and rough handling. Providing tighter connections, better conductivity and longer life, an exclusive copper crimp barrel termination protects against internal overheating and burnout. An advanced, threaded locking ring ensures proper alignment of connector and inlet for complete contact and waterproofing. It also prevents accidental disengagement. Line-up notches and arrows indicate locked and unlocked positions. UL Listed, Hubbell Marine's 30amp Ship-to-Shore Cable Sets have suggested retail pricing starting at $69.99. 25', 35' and 50' 30 amp Cable Sets with LED Power-On indicator lights are also available. Contact Hubbell Marine Electrical Products, 185 Plains Rd., Milford, CT 06460; 203-882-4800; Fax: 800-255-1031. www.hubbell-marine.com. As more marine stereos are compatible with portable media devices, boaters need a way to keep these electronics secure while underway. The Milennia MIL-idock from Prospec Electronics employs a slide-drawer system to provide a safe, weatherproof docking location. Flush-mounted, the convenient Milennia MIL-idock supplies dry storage and easy connection for today's popular media devices, including iPods, mp3 players, cell phones, flash memory cards and other small, USB accessories. An optional power cable can also be run though the docking area to charge electronics. Simple to install, it measures 5-3/4" W x 1-5/8" H x 6-3/4" D.
The versatile Milennia MIL-idock-MC model can be used in conjunction with Prospec's JBL-MC19 Commander/Remote. It coverts the control unit into a hinged panel that swings down to reveal the hidden drawer. Existing JBL-MC19 systems are easy to retrofit. The sleek Milennia MIL-idock from Prospec Electronics has a suggested retail price of just $39, while the MIL-idock-MC costs $69. Contact Prospec Electronics, 3325 S Morgans Point Rd., Mt. Pleasant, SC 29466. www.prospecelectronics.com. Providing class-leading performance and features, Hella marine introduces the latest in LED technology, the state-of-the-art NaviLED Trio Tri-Color Navigation Lamp. With a port, starboard, stern and all-round white/anchor light, it offers superior reliability, efficiency and visibility. Employing an advanced lens and optics, the powerful NaviLED Trio Tri-Color Navigation Lamp ensures precise horizontal and vertical cut-off angles, clearly indicating a craft's movement and direction. It can be seen at a distance of at least two nautical miles. Incredibly durable, the resilient NaviLED Trio Lamp is designed to operate in the most demanding marine conditions. Constructed of UV-resistant, high-impact nylon with a heavy-duty Polyamide lens, the housing provides outstanding protection to vibration and shock. Featuring an unmatched seven-year warranty, the dependable Tri-Color Navigation Lamp offers an ultra-long service life. With no filament or bulbs to break, the light requires no maintenance. Impervious to saltwater and contaminants, it's completely sealed to IP 67 standards. Compared to 25W incandescent tri-color lamps, the NaviLED Trio port, starboard and stern draw less than 3.5W, while the white anchor light uses less than 1.5W. The energy-saving LED employs sophisticated Hella Multivolt 8-28V DC electronics to provide consistent and safe illumination under severe voltage fluctuations, as well as low battery voltages and across long cable runs. It is also spike- and reverse-polarity protected. Pre-wired with 15-3/4" of triple-core marine cable, the convenient NaviLED Trio Tri-Color Navigation Lamp has a unique installation system that makes removal and re-installation simple. Using a 316 stainless steel mounting shaft, it provides a secure attachment and reliable electrical connections. The compact unit measures 3-3/4" H x 3-1/3" in diameter. BSH, IMO COLREG, USCG and ABYC approved, the innovative NaviLED Trio Tri-Color Navigation Lamp from Hella marine has a suggested retail price around $600. Contact Hella marine Inc., 201 Kelly Dr., Peachtree City, GA 30269. 770-631-7500; Fax: 770-631-7560. SOE.sales@HINC.hella.com; www.hellamarine.com. Torqeedo is always looking to push the envelope in developing the most efficient and powerful electric outboard motors in the marine industry. That's why they created the Torqeedo Catalina Solar/Electric Boat Challenge, proving that electric outboards are destination motors. It also honors Bob Nordskog, a man who took the challenge 30 years ago to travel the intimidating Pacific Ocean over 26.5 nautical miles from Long Beach Harbor to Catalina Island in the first electric boat ever built. The first successful Torqeedo Catalina Challenge took place on October 24 in a 16'7" Hobie� Getaway Catamaran named the Kona Concept�, modified to accommodate batteries and a solar panel and powered by the Cruise 4.0R Torqeedo Electric Outboard Motor. Captain of Kona Concept and grandson of Bob Nordskog, Erik Robert Nordskog, and navigator Jim Czarnowski, director of engineering for Hobie Cat, were very proud to recreate the crossing. They completed it in just 6 hours and 41 minutes and with 35% battery power remaining. So, why establish the Torqeedo Challenge? The purpose is to go beyond using electric propulsion only on green lakes, in marinas and on cocktail cruisers. It's to demonstrate that electric propulsion can be developed into a destination motor in the mainstream boating industry. The challenge is intended to provide a means of recognition for and is open to individuals and manufacturers who demonstrate, in offshore conditions, improvements in both range and speed of recreational electric craft. Torqeedo also wants to encourage both atmospheric and noise pollution reduction. There are four classes in which to compete: mono-hull, above and below 18', as well as multi-hull, above and below 18'. Participants need to submit a proposal and document the voyage for consideration. Winners will be rewarded with a bronze medallion replica of the original Catalina Challenge Trophy. This year it was presented to Erik Nordskog and Jim Czarnowski by Larry Smith, founder and owner of Team Scarab, and Steve Trkla, US president of Torqeedo. Erik's grandfather, the late Bob Nordskog, first attempted this feat in 1980. 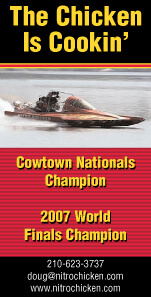 His close friend, Larry Smith, bought the motor, controller and batteries from Bob to build a 14' bay launch. As president of the American Power Boat Association Race Group, as well as founder and owner of Powerboat magazine, Bob Nordskog held many offshore endurance racing records that are still unchallenged to this day. He was an innovator and believed in solar technology and attempted the first ever solar electric boat run to Catalina Island. Now Erik, Jim and Torqeedo were ready to try their own voyage to Catalina Island in an electric craft. On Saturday, October 24, a cloudy morning in Southern California, with a bright future ahead, Torqeedo began their quest. Launching at 8:28am, the water was calm as the team left port. Off to the starboard side was the Queen Mary, a historic vessel, sitting in her dock as she has for the last 42 years. Saluting her in passing, the challengers realized how far boat design has come. As Kona Concept left Queens Gate, the harbor exit into the ocean, they were traveling at a speed of 5.8 mph, using two Lifeline� battery banks with a total of 48V to power the Torqeedo Cruise 4.0R. Providing the highest overall efficiency on the market, the Torqeedo Cruise 4.0R is a high-tech outboard with superior range. Along with remote steering and remote throttle, it has the propulsive power of an 8 hp combustion engine in displacement drive and the thrust power of a 9.9 hp gas outboard motor. Torqeedo's complete product line sets the new standard of powerful electric outboards in the marine industry. A Power Film� solar panel mounted to the catamaran's Bimini top continued to charge the battery banks. The throttle was set to draw 1,000 watts from the 4,000 watt motor as a control to determine the best setting for the 26 mile journey. These settings enabled the team to average 5.6 mph and ensured there was enough battery power to complete the voyage. When utilizing the full 4,000 watts, the top speed of the boat was 10.2 mph. At 11:38am, just 3-1/2 hours and exactly half way, they switched from the 79 amp batteries to the 105 amp bank which had been hooked up to the Power Film solar panels. Now for the fun part. The challenge needed a boat to film and document the quest and they had the best, a 48' Scarab, based on the original design by founder and owner of Team Scarab, Larry Smith. Captained by Dan MacNamara, it lived up to its reputation as a speedboat. A Lowrance� GPS/Chartplotter also helped record the journey by marking the course of the catamaran along the way. Erich Stull and Tate Schieferle from Monte Vista Media who worked the video camera and Craig Smith who took the still shots were on board, too. Steve Trkla and Anthony Piraino, Torqeedo's national sales manager, along with Elena Czarnowski, Jim Czarnowski's wife, rounded out the support crew. While traveling alongside the Kona Concept, they all felt a great sense of pride by watching this amazing feat of technology. They were even rewarded with a sighting of California grey whales breaching on their journey out to sea. It made everyone stop and think of the power of the ocean and its creatures as their colleagues continued in the 16' Kona Concept. Everything continued to go well as they maintained a speed of 5 mph and the batteries were doing the job, when all of a sudden, over 1,000 porpoises surrounded the team. They played and jumped and welcomed the crew. It was an amazing site for all to see and was a perfect way to celebrate this achievement. The team arrived at Avalon, California, the main harbor on Catalina Island at 2:43pm, 6 hours and 41 minutes after the journey began with an incredible 35% battery power remaining and a very happy crew. For additional information and challenge rules please send an email to Larry Smith at Teamscarab@cox.net. For more information or to purchase the Kona Concept Deck Kit, please contact Murray's at 800-786-7245. 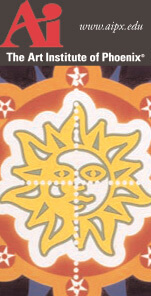 Contact Torqeedo Inc., 171 Erick Street Unit A1., Crystal Lake, IL 60014. 815 444 8806; Fax: 815-444-8807. mail@torqeedo.com; www.torqeedo.com. On November 4, 2009, ValvTect Petroleum Products filed with the U. S. Federal District Court in Ft. Lauderdale its response to the lawsuit filed by StarBrite that alleged a ValvTect comparison ad contained false information. Please find ValvTect's response to StarBrite's allegations attached. For more information or a copy of ValvTect�s Answer to StarBrite�s Complaint, ValvTect's Complaint or Counterclaim Against StarBrite, contact Jerry Nessenson with ValvTect at 800-728-2858 or gnessenson@valvtect.com. The daily build-up of condensation in a diesel fuel system can lead to fuel contamination through bacteria growth. Parker Energy System's new FPM Installation Kits, FPM-051 Kit and FPM-052-A Kit, combat this daily water accumulation, preventing corrosion and other problems. Both Installation Kits include everything needed to install a dedicated fuel polishing loop, including the FPM-050 Fuel Polishing Module, a Parker Racor 500 Series Turbine Filter, a fuel hose and fittings. The FPM-052-A Kit also comes with a stylish, black anodized FPM timer, enabling owners to program the new polishing system to run while unattended. With these kits, users combine the low-power maintenance of the FPM-050 Fuel Polishing Module with the renowned performance of Parker's Racor Filters. The Racor Filter features NPT style fittings for a simple installation. An included Parker Wavemaster fuel line is CG-approved and meets SAE J1527 Type A1 standards. The FPM-051 Kit from Parker Energy Systems retails for $919, while the FPM-052-A Kits costs $1,149. Contact Parker Energy Systems, Parker Hannifin Corp., 95 Edgewood Ave., New Britain, CT 06051. Toll-free 877-217-4501; sleahy@parker.com; www.parkerfuelpolishing.com. Boat owners no longer have to worry about disposing of septic waste while underway. From Raritan, the most dependable name on the water, comes the revolutionary ElectroScan, a US Coast Guard-certified Type 1 marine sanitation device (MSD) that cleans wastewater to a degree of purity that often surpasses the water in which the boat is traveling. In a recent US Environmental Protection Agency (EPA) evaluation of Type 1 MSDs, the ElectroScan was confirmed to far exceed current standards, effectively treating waste to a mean level of <2.4 coliform bacteria per 100ml of water. This discharge can be compared to the 200 coliform that is considered safe for swimming water, as well as the 14 coliform allowed for water containing shellfish harvested for human consumption. The EPA also performed additional testing beyond Type 1 MSD criterion and found that the ElectroScan successfully removed almost all pathogen indicators (99.99% or greater), such as enterococci and E. coli. Employing a unique twin-chamber design, the advanced ElectroScan's 2-gallon tank macerates waste, forcing it into direct contact with specially-coated electrodes that temporarily convert saltwater to hypochlorous acid, a powerful bactericide. This naturally-produced disinfectant eliminates the need for harmful chemicals. Designed for vessels up to 65' and up to two toilets, the versatile ElectroScan continuously monitors itself to ensure proper conditions exist to treat bacteria and viruses. An LCD display provides system status and diagnostic information. Historical data is stored on a board that is easily returned to the factory or dealer for download onto a computer. ElectroScan controls the electrodes for optimum performance and reduced current draw. Automatically treating with each flush, it eliminates the need for bulky holding tanks. Solid-state overload protection eliminates fuses and relays. Compatible with both manual and electric marine toilets, the advanced ElectroScan from Raritan is available in 12-, 24- and 32-volt DC configurations. It has a suggested retail price of $1,560. An optional salt-feed system is available when cruising in fresh or brackish water. Contact Raritan, 530 Orange St., Millville, NJ 08332. 856-825-4900; Fax: 856-825-4409. info@raritaneng.com; www.raritaneng.com. When putting an RV into storage, it's important to empty and rinse all holding tanks to prevent costly plumbing damage. After they're drained, owners can then control odor up to six months with Thetford's 6-Month Storage Tank Deodorant. The first product of its kind, this 6-Month Storage Tank Deodorant is formaldehyde-free, lubricates seals and cleans tank residue. Compatible with anti-freeze, the 100% biodegradable formula is designed specifically for RV holding tanks. Thetford's 6-Month Storage Tank Deodorant is available in a 24 oz. bottle or a 3-pack of 8 oz. bottles. Thetford subsidiaries include Norcold, America's leading manufacturer of gas-absorption refrigerators and freezers for the RV, marine and truck markets, Tecma, a producer of fine-china toilets and powerful waste-transfer systems based in Italy, and Spinflo, a unit in England that manufactures high-quality cooking and heating appliances as well as accessories. Getting the party started is easy with the right accessories. At the heart of on-the-water festivities is the patent-pending Bev Barge from Weekend Products. The only rigid party island on the market, it's perfect when taking a break during a day of boating or when simply floating in a lake, pool or lazily down a river. The Bev Barge features two recessed serving areas, providing a platform for food or on-the-water games. Its twelve cup holders ensure drinks are never too far away. It also holds a 36-quart Igloo Family cooler, umbrella and eight inner tube attachment lanyards. Easily removed for a quick refill, the Igloo cooler holds up to 48 cans at a time. It fits squarely in the center of this floating island. Ultra-strong and puncture-resistant, the Bev Barge comes with two colorful tubes. Made from 12 mil vinyl, they won't cause latex-related allergic reactions. The blue and white umbrella with a 6' diameter provides shade while also serving as a reference point in a crowded area, making sure friends and family stick together. Each 48" long attachment lanyard is just the right length to keep users close to the snacks and beverages. Non-rusting, solid aluminum carabiners are included to connect any floating water toy to the Bev Barge. Constructed of nearly indestructible HDPE plastic, the Bev Barge is designed to last for years. For protection from long days in the sun, the plastic contains UV inhibitors. Unlike inflatable products, it won't ever pop or lose its shape. Measuring 65" L x 36"W and only 4" tall, it's easy to store and transport. The Party Package from Weekend Products comes with everything needed for fun on the water, including a Bev Barge, cooler, umbrella, eight lanyards and two inner tubes, as well as a three-year warranty. It has a retail price of $249.95. Keeping everyone aboard safe just got easier. With Accon Marine's 800 Series Telescoping Grab Bars, passengers can effortlessly keep their balance when the boat quickly changes direction and speed. They're also helpful when boarding a craft. With a welded 6061 marine-grade aluminum or 304 stainless steel construction and available with a heavy-duty powder coating, Accon's Grab Bar also features 316 stainless steel snap buttons to lock it into place. Its vinyl hand grips help prevent slips. Easily mounted on center consoles or the side of a bench seat, it can be installed almost anywhere an extra hand hold is required. Providing a long service life, Accon's Grab Bar is available in custom lengths at the OEM level. The 800 Series Grab Bar from Accon Marine has a starting retail price of $91.69. The originator of the Pop-Up cleat, Accon Marine, manufactures a full line of stainless steel flush-mount deck hardware. Its line includes high-quality lifting cleats, folding cleats, Pop-Up lights and fender hangers. Peter Schlech is an award-winning craftsman known for his unique style. He found a passion for the art of woodworking in the design and construction of studio furniture. Inspired by the world around him, Peter started making multi-purpose boxes with some beautifully esthetic designs. In the past few years, his focus has narrowed from furniture to small sculptural work.. Peter�s latest discovery in art has been his original sculptural series. Shown in some of the best galleries around the country, Peter�s work has received a wonderful response for its unique designs and elegance. This work is fresh, and it stands out nicely from turned and carved wood. Docking at night combined with improper lighting can be dangerous. Adding safety and colored beauty to waterfront property, Aqualuma underwater lighting offers its high-output LED Dock/Marina Light, improving visibility of the surrounding waters. The light's unique, curved-face design illuminates the waters around docks, pilings, seawalls and jetties. Late-night fishing is also more enjoyable since underwater lighting attracts a wide variety of fish for the avid angler. Incredibly durable, its six LEDs are protected in a high-tech polymer housing. The Dock/Marina Light draws less than 1.3 amps at 12V DC and emits virtually no heat. With no bonding required or metal under the water, corrosion is eliminated. It comes with 16.2' of tinned cable. A fiberglass mounting post, injection-molded, reinforced bracket and stainless steel mounting pins are included. Easy cleaning is enabled by the pivot bracket. The light is available in Ultra Blue, Ultra Green and Brilliant White. With a recent price reduction and a two-year warranty, Aqualuma's Marina/Dock Light costs $777.18. Piggyback units are available for $642.18. Wooden boat owners can have a comprehensive instructional publication written by a company with over 40 years experience in epoxy applications. WEST SYSTEM Wooden Boat Restoration & Repair manual explains how to perform professional-level repairs and renovations that dramatically extend the life of a wooden boat. Dry rot, structural frame and plank repairs using modern products and techniques are among the many solutions covered in this 80-page, fully-illustrated publication. Divided into eight sections, the thorough guide approaches a project in several phases, from assessing the feasibility of the repair through how WEST SYSTEM products and fundamental methods can be used to complete the job. Procedures described in the publication help restore the primary functions of a boat's structure, reduce flexing and provide moisture protection. This results in long-lasting boat and wooden structure repairs. Anyone can download the manual for free at www.westsystem.com/ss/use-guides. 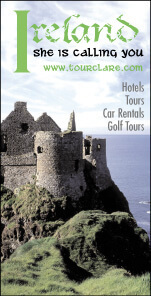 A soft-cover version of the guide can be purchased for $4.85. Instructional publications covering fiberglass repairs, gelcoat blisters, final fairing and finishing and vacuum bagging techniques are also available from WEST SYSTEM. 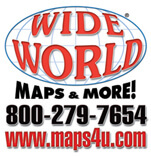 Contact West System, PO Box 665, Bay City, MI 48707. 866-937-8797; Fax: 989-684-1287. glo@gougeon.com, www.westsystem.com. There's now a simple, effective and chemical-free solution to keep birds and other nuisance animals off valuable boats and outdoor assets. The WhirlyBird HD (heavy-duty) bird deterrent from NoBirds.com protects any area up to 5' in diameter with the use of circular motion and adjustable arms. Solar and battery-powered, this durable device comes with an on-board solar charging system and rechargeable batteries, allowing it to easily run 24 hours a day. Completely UV-resistant, it can withstand harsh environments due to its heavy-duty poly construction and stainless steel internal components. WhirlyBird is engineered to operate in fog and low-light conditions, ensuring constant protection of assets. Virtually invisible, only the birds notice its there. The WhirlyBird HD will not scratch a boat's fragile surface and its lightweight construction prevents it from sagging canvas tops. Environmentally-friendly, it's safe for birds and animals. The WhirlyBird is also great for use in sensitive areas such as gardens and koi ponds, as well as RVs, roof tops, patios and pool areas. Working at any angle, installation is easy. The WhirlyBird has four built-in mounting pads and can be screwed down permanently or set up with bungee cords, string or other tie downs. An optional sand bag mount and universal mounting bracket are also available. The device can remain installed even when the boat is in use. The WhirlyBird HD from NoBirds.com has a retail price of $119.95. A solar-powered only version costs $79.95. New Water Ski Training Device Teaches Kids to Ski Easier and Quicker! Teaching youngsters to water ski for the first-time is often a frustrating and tedious experience at best. But those days are now gone forever, thanks to EZ SKI TRAINER, a new water ski training device that teaches kids the fundamentals of water skiing while having fun. EZ SKI TRAINER is an inflatable floatation device with a built-in wood bottom ski skimmer and comfortable foot bindings. The EZ SKI TRAINER is buoyant and has no hard edges so kids feel safe and secure while riding. There is also an inflatable seat so the child can ride in either a seated or standing position. The towing rope attaches directly to the EZ SKI TRAINER so the child never feels any tugging or pulling sensation thus eliminating fatigue. To start, a child boards the EZ SKI TRAINER right from the swim step of a boat, without having to get wet. Instead of attaching the 40-foot tow rope to the boat, the on-board observer simply holds the handle while the boat slowly accelerates to a maximum speed of 10 miles an hour. While skiing, the child is able to perform a number of different basic maneuvers such as crossing the wake, turning, riding backwards and jumping. In the event the skier might fall off, the observer lets go of the tow rope and the EZ SKI TRAINER remains with the child. Re-boarding from the water is also easy thanks to the inherent stability of the EZ SKI TRAINER which is recommended for children up to 60 pounds. Most importantly, EZ SKI TRAINER replaces the intimidation of learning to water ski for children with fun, confidence and the feeling of accomplishment. After only a few short minutes on the water, children are able to experience the thrill of skiing while beginning to master the basic techniques of the sport. EZ SKI TRAINER is available now from www.overtons.com mail order and will soon be sold in leading marine and sporting goods stores across the country. 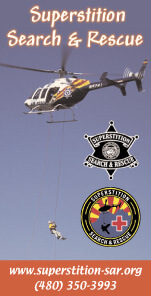 For more information and video demonstration, please log on to www.ezskitrainer.com. By Chris and Cayden from California from Moreno Valley Ca. I have been going to the Colorado River for 20 years, I was taught to ski with the old style skis and thought it was difficult to learn. I have been fortunate enough to get my hands on this great new product, the Ez Ski. The very first time I put my 3.5 year old daughter on it she loved it. I couldn't believe what she was doing. She wasn't scared to be on the river behind the boat. Take in mind she was never pulled behind the boat before... The first time out she stood up, waved to us while holding the handle with just one hand, she turned around and rode backwards, and we could not get her off of the Ez Ski. When we pulled her in all she was saying is more more more!!!! This is a great product to get your child aquatinted with all aspects of water sports. I've been teaching kids to ski for over 40 years, using the old ski board type towables. This rig is so much better in that the kids don't have to get into the water. I am shocked at the number of people that boat today that DO NOT teach the young kids to waterski. This is by far the best teaching tool I've yet to see, to get the kids used to the idea of being pulled behind the boat. Boaters don't have to worry about missing their favorite TV episodes now that US television channels have gone digital. Shakespeare's SeaWatch Marine TV Antennas support digital HDTV signals. Boaters who own Shakespeare SeaWatch models 2020-G, 2030-G or 2025 don't need a new antenna because these products already accept the new digital signals. Users with digital TVs simply connect the SeaWatch antenna's coax cable directly to the set. No converter is needed. For those with an older analog TV, the coax cable from a SeaWatch antenna will connect to any digital TV converter box, which can be purchased separately at electronics stores and online suppliers. The converter box then hooks up to the TV, using the coax cable provided with the box. Shakespeare's SeaWatch antennas enable boaters to combine the comforts of home with the pleasures of boating. Built to last, these high-performance omnidirectional antennas are weatherproof with a non-fade exterior. They employ solid-state electronics for reliability and resistance to mechanical shock and feature a built-in, low-noise amplifier. Available in 14" or 21" diameter models, SeaWatch TV antennas operate on 12vDC or 110vAC. Retail prices start at $239.95. Contact Shakespeare Electronic Products Group, 6111 Shakespeare Rd., Columbia, SC 29223. 803-227-1590; Fax: 803-419-3099. Boaters no longer have to worry about accidentally dropping their vital VHF radio in the water and losing it. Cobra Marine, a division of Cobra Electronics, introduces its Floating Line of VHF handheld radios, the MR HH330 FLT and the Bluetooth�-equipped MR HH475 FLT BT. Boaters can now get the most technologically-advanced features packed into their VHF radio at an affordable price. With a bright, orange core, these unique handhelds can be easily spotted in the water, if they end up overboard. Incredibly compact for a floating radio, these units fit nicely in one's hand and have easy-to-operate controls and large LCD screens for easy viewing. Operating with 6 Watts of power, Cobra's most powerful handheld radios, they easily enables long-range communication while a noise-canceling microphone blocks background noise for clearer conversations. The unique "BURP" feature vibrates water out of the speaker grill to improve performance in extreme conditions. Similar to Cobra Marine's award-winning MR F300 BT, the MR HH475 FLT BT also incorporates patent-pending MicroBlue� technology, enabling users to conduct cell phone calls through their Cobra radio using Bluetooth� wireless technology. It also includes Rewind-Say-Again� to record and replay up to 20 seconds of a call, a convenient and potentially life-saving feature. "With the addition of the Floating Handheld Line, we're moving ahead with all our products and expanding our offering of Bluetooth�-equipped radios," said Tony Mirabelli, senior vice president of marketing and sales. "The Floating Line is an entirely new category of VHF radios for us and a new way to offer boaters an effective way to clearly communicate." The Floating Handheld Line offers instant access to NOAA 24-hour national All Hazards and weather information and channel 16 for emergencies. These radios can also scan three channels simultaneously, including channel 16 and two user-selected channels. The Scan feature runs through all channels or those programmed into the memory to find conversations in progress. Each handheld comes with a Lithium Ion rechargeable battery, locking desktop charger with AC/DC adapters and a spring-loaded swiveling belt clip. Cobra's new Floating Line will be available in stores in September 2009 for a suggested retail price of $129.95 for the MR HH330 FLT and $179.95 for the MR HH475 FLT BT. A division of Cobra Electronics, Cobra Marine is a leading designer of mobile communication products for the marine industry. Products include handheld and fixed VHF radios, including exclusive Rewind-Say-Again�, All-Terrain-Radio and MicroBlue�-equipped systems. Contact Cobra Electronics Corporation, 6500 West Cortland Street, Chicago, IL 60707. 773-889-8870. productinfo@cobra.com; www.cobra.com/marine. A boat's surfaces need to be protected from damaging UV rays. To safeguard their craft, as well as prolong the life of a wax or polish job, owners just have to do the twist. By rotating their boat in its resting place every two weeks, they can even out sun exposure and keep their boat shining like new. Along with turning the boat, owners should apply a coat of high-quality polish. Serving as a cleaner, sealant and polish with UV inhibitors, Shurhold's Pro Polish is scientifically formulated to protect fiberglass, gelcoat, clear coat and aluminum. Pro Polish repels water and provides a deep, glossy sheen, while protecting the surface from the harsh effects of the sun, saltwater and other environmental elements. Better than old-fashioned wax, this polish is polymer-based and contains no fillers or talc so when users buff out Shurhold's Pro Polish, there won't be a major mass of white powder. Producing virtually no waste, it enables owners to finish the job in less time and with less effort. A 16 oz. bottle of Shurhold's Pro Polish retails for $22.98. Dedicated to educating boat owners, Shurhold offers a free guide of key tips for boat value preservation at www.shurhold.com/tips. Inventor of the One Handle Does It All system, Shurhold manufactures specialty care items and accessories to clean, polish and detail. Welcoming a new member to its growing team, SmartPlug Systems brings on a VP of operations. Greg Duncan will oversee the daily operations of the company. He will assist with business development and project management in areas such as research and development, manufacturing and shipping and receiving. Duncan will help create SmartPlug's nationwide marketing and sales campaign. With over 20 years of experience in the marine industry, Duncan comes to SmartPlug from AFI, a division of Marinco. He held multiple positions there, including regional sales manager, vendor manager and marketing/product manager. "We're very excited to add Greg to the SmartPlug team due to his extensive knowledge in the marine industry," said Ken Smith, SmartPlug CEO. "His aptitude in marketing and sales will undoubtedly enable SmartPlug Systems to expand our market share among shorepower system manufacturers." SmartPlug Systems recently introduced the first safe and easy-to-use alternative to the current shorepower standard in 70 years. Transforming boaters' access to AC power, SmartPlug incorporates unparalleled safety features to help prevent the leading causes of marine fires. Contact SmartPlug Systems, 3900 15th Place W., Seattle, WA 98119. 206-285-2990; Fax: 206-285-2981. Sales@smartplugsystems.com; www.smartplugsystems.com. At just 1/2" high, the sleek Stealth LED Bi-Color and Side Lamps feature a bright, polished stainless steel housing, which can be black or white-powder coated. They are USCG certified for use on power-driven vessels under 12m (39'). The Bi-Color Light is also available in a removable pole version. To complement the deck mount lights, the Stealth Series white, All-Around LED Lamps are approved for use on power-driven vessels under 20m (65'). 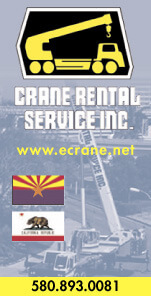 Available with fixed or articulating heads, they are also USCG certified. An advanced, reduced-glare design helps preserve night vision by limiting the amount of light outside the visibility zone. Plus, it doesn't attract as many bugs. Contact Perko, 16490 Northwest 13th Ave., Miami, FL 33169. 305-621-7575; Fax: 305-620-9978. sales@perko.com; www.perko.com. Now owners can detail their own boats like a professional in half the time and with half the effort. Shurhold Industries introduces its revolutionary Dual Action Polisher, giving users a more efficient and cost-effective way to polish their vessel. Featuring a unique random action orbit for brilliant shine, this polisher's pad oscillates and rotates on varying orbits to prevent swirl and burn marks. Specifically-designed for use on boats, Shurhold's Dual Action Polisher has an extra long 20' power cord with a GFCI plug for protection in damp environments. An adjustable soft-touch, D-handle creates ideal hand positioning, while the soft-touch head provides comfort. At only 4.8 lbs., this polisher is a breeze to maneuver. Operating with a 2500-6500 OPM motor, it has six speed settings. A wool compounding pad is available to remove oxidation and a pro polish pad is offered for applying wax. Shurhold also manufactures a microfiber bonnet to remove haze after polishing. Extremely versatile, it's great for polishing fiberglass, gelcoat, stainless steel and metalwork. It can even be used to clean windshields when using the appropriate pad and cleaner. 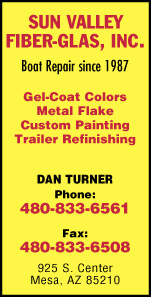 After owners finish shining up their boats, they can take the polisher to their car or RV. Shurhold Industries' Dual Action Polisher has a retail price of $149.98 and comes with a 20' GFCI power cord, quick change backing plate, heavy-duty carrying bag, wrench, manual and one-year limited warranty. On the Gold Coast Seaway in Australia, a new Maritimo 500 Offshore Convertible combated an outward tide current, 15 knot Southeast winds and 5-6' Easterly waves. The craft was equipped with a revolutionary Seakeeper Gyro Stabilization System that delivered a powerful righting force, virtually eliminating boat rock and roll. The first Australian-built vessel to feature a Seakeeper Gyro, Maritimo installed the innovative unit to meet its customer's need for comfort at anchor, low speed and underway. During the sea trial, Nick Barry-Cotter from Maritimo's engineering department was at the wheel with Kendall Barry-Cotter alongside. Seakeeper's local distributor Twin Disc (Pacific) also had staff onboard during this historic event. Once in rough waters, the advanced Seakeeper Gyro Stabilization System was activated. After one, possibly two waves, the roll rate was drastically reduced and all aboard immediately noticed a much smoother ride. This test was repeated several times and in each instance the stabilization results were the same. Even when tested at zero speed, the roll rate was dramatically reduced. "There was a considerable amount of roll reduction, more than expected," said Nick Barry-Cotter. "It made a large difference and in my opinion, it's worth the money." Employing the principles of gyro-dynamics, the high-tech Seakeeper Gyro spins a forged, high-strength steel flywheel at 10,000 rpm in a near-vacuum to generate an unmatched 7,000 Newton meter seconds of angular momentum. Actively controlled by motion sensors and computer processors, it optimizes torque and is highly effective over a range of conditions and applications. "If customers wanted to fit a stabilizer in their Maritimo, we would recommend a Seakeeper Gyro Stabilizer based on this initial experience," said Nick Barry-Cotter. "With the ease of installation, virtually no vessel speed loss and an operating noise level lower than the gen-set required to run the unit, I am overall very happy with the installation, operation and performance of the system." Unlike fin-based, roll stabilization systems, the completely internal and speed-independent system has no drag-producing protrusions from the hull that can be damaged from impact or snag seaweed. Weighing significantly less and consuming much less power than comparative products, the Seakeeper Model 7000 Gyro is designed for craft up to 60' in length and/or 60,000 lbs. displacement. Larger craft are fitted with multiple units. The compact gyro can be installed as a boat is being built or retrofitted into an existing vessel. Maritimo is Australia's premier manufacturer of long-range luxury yachts. The company's boats offer a unique blend of progressive design, style, power and elegance. Contact Seakeeper, P.O. Box 999, Solomons, MD 20688. 410-326-1590; Fax: 410-326-1199. sales@seakeeper.com, www.seakeeper.com. Nothing spoils a fun day on the water faster than having to deal with complicated boatlifts. Preventing frustration, Safe Haven Systems has redesigned its environmentally-friendly Solar Hybrid Power Box to make launching even easier than before. Included with all Safe Haven Solar Hybrid boatlift models, the advanced Solar Hybrid Power Box is incredibly efficient. A single charge provides enough energy to raise and lower the boat up to 80 times. Where electricity is available, it can operate on 110V power supply. With no hydraulic fluid, oil, grease, zinc or other environmental hazards, Safe Haven boatlifts do not require problematic remote controls, outside electricity or winches. Designed for the toughest marine conditions, the maintenance-free system has no chance of mechanical failures that can prevent launching. The Safe Haven air assist boatlifts start at $5,200 for the Retreat 2 Solar Hybrid. Contact Safe Haven Systems, by Carolina Waterworks, 211 Eagle Rd, Goose Creek, SC 29445. 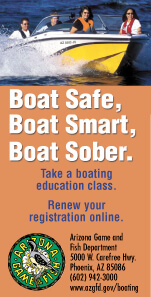 Toll free: 877-734-2836; Fax: 843-375-0054. info@carolinawaterworks.com; www.safehavenboatlifts.com. Now offshore, bay and cabin boat owners can turn to Turning Point Propellers for their high-performance propeller needs. Designed for 135-300 hp engines with 4-3/4" gearcases, the revolutionary Voyager stainless steel propellers maximize a craft's overall performance with increased fuel efficiency, better handling, a quicker hole shot and higher top-end speeds. They're compatible with Mercury, Evinrude, Johnson, Honda, Suzuki, Volvo and Yamaha engines. Employing advanced blade geometry, the innovative Voyager props have industry-leading, high-performance rake patterns, aggressive cupping, fine-tuned pitch progression and sharp trailing edges. Now offered in counter-rotating matching pairs and individual left- or right-rotation propellers, they're available in 14-1/2" diameter four-blade and 15" diameter three-blade sets, as well as 16" diameter three-blade sets for Suzuki DF four-stroke applications. The suggested retail prices for the Voyager stainless steel propellers from Turning Point start at $550. They also require a MasterTORQUE Hub System, which retails for $54.50. Ideal for powerful engines, Turning Point's MasterTORQUE Hub System incorporates a polymer cushion to absorb shock and reduce damaging vibration. It also features a marine brass spindle, ensuring long-term corrosion resistance. The single-piece MasterTORQUE, which eliminates the rattle common with two-piece hub systems, is interchangeable with a variety of prop sizes, making it quick and inexpensive for boaters to switch to a spare or lower-pitched prop for water sports. It is designed to replace and upgrade Mercury Flo-Torq II, Michigan Wheel XHS and other similar hub systems. Turning Point has been engineering, manufacturing and marketing high-performance pleasure craft aluminum and stainless steel propellers for almost a decade. Available worldwide, the innovative designs, high-strength materials and unique interchangeable hub/housing systems make the company the first choice in marine propellers. Contact Turning Point Propellers, 896 Cambridge Dr., Elk Grove Village, IL 60007. 847-437-6800; Fax: 847-437-6868. sales@turningpointpropellers.com; www.turningpointpropellers.com. Now trawler owners can enjoy the adventure of voyaging or living aboard without nauseating boat rock and roll. Delivering a powerful righting force, the advanced Seakeeper Gyro Stabilization System ensures smooth cruising in any condition. Even in the roughest waves and zero and low speeds, it remains effective. Employing the principles of gyro-dynamics, the high-tech Seakeeper Gyro spins a forged, high-strength steel flywheel at 10,000 rpm in a near-vacuum to generate an unmatched 7,000 Newton meter seconds of angular momentum. Completely internal, it has no drag-producing protrusions from the hull that can be damaged from impact or snag seaweed. Speed independent, the versatile Seakeeper Gyro works just as well at anchor as it does underway, unlike fin-based, roll stabilization systems whose performance decreases sharply at less than cruising speed. Ideal for planing or displacement boats, it is actively controlled by state-of-the-art motion sensors and computer processors to optimize torque. Operating in a near-vacuum enables the Seakeeper Gyro to spin at much higher speeds than traditional gyros. This produces more angular momentum or righting force for increased roll reduction performance. Since air friction is decreased, the innovative unit consumes less power, produces less heat, demands less cooling and weighs significantly less than other products on the market. Not susceptible to the harsh marine environment or corrosion, the low-maintenance gyro's main components are sealed inside a cast aluminum enclosure. It also features an active hydraulic brake, heavy-duty gimbal shafts and bearings and sturdy, cast aluminum saddle beams. Status and diagnostic information can be easily accessed from the display panel and keypad. Designed for craft up to 60' in length and/or 60,000 lbs. displacement, the Seakeeper Model 7000 Gyro measures merely 38.5" L x 30.7" W x 26.5" H and weighs only 1,000 lbs. Larger trawlers are fitted with multiple units. The compact gyro can be installed as a boat is being built or retrofitted into an existing vessel. Incredibly efficient, the economical unit requires just 1.5-2 kW to operate. From the leader in internal stabilization technology, the Seakeeper Model 7000 Gyro has suggested retail prices starting at $79,000. Contact Seakeeper, P.O. Box 999, Solomons, MD 20688. 410-326-1590; Fax: 410-326-1199. sales@seakeeper.com, www.seakeeper.com. Conserving fresh water is important onboard any boat, but seawater and the small organisms that come with it can cause heads to stink. The Sea/Fresh Marine Elegance is able to switch effortlessly between the two water sources with the flip of a switch, the revolutionary marine toilet enables users to flush with seawater to conserve onboard water and rinse the bowl with fresh before leaving the boat for a few days or when traveling in areas where outside water may be too dirty. Your RV Is In Reverse; Do Pedestrians Know That? Do you wish that you had something installed on your RV to warn pedestrians that you are backing up? SafetyBeep� is a wireless device that requires no wiring or tools to install. All you do is stick it onto the rear reverse light on your vehicle. The built-in light sensor automatically activates a beeping alarm on the SafetyBeep� when you engage your vehicle in reverse and remains on until you begin to move forward. Now you can take the worry out of backing up, especially in RVs, trucks, minivans and SUVs. You've always backed up with caution, and now you will be able to back up with confidence. SafetyBeep�, the back-up beeper, is only $10 plus $6.99 shipping and handling. Editor�s Note: From time to time it is our pleasure to bring you news of new products that may be of interest to AZBW readers. We present the following for your information only; publishing the following articles in no way constitutes our endorsement of any of these products. Further, prices given are those that were in effect at press time. Traditional lumber docks require labor-intensive installations and constant maintenance. The attractive TrueDeck Woodbeam� Panels from True Harbor offer all the advantages of light-weight, polymer panels with the beautiful appearance of wood planks. Constructed from advanced, reinforced engineering resin, the durable TrueDeck Woodbeam Panels are 70% lighter and install in 1/4 the time of heavy composite lumber decking. The state-of-the-art, UV-resistant material resists fading and degradation. Impervious to water, mold, mildew, rot and marine borers, it also features a unique, anti-static additive. Creating stunning board-style docks, the TrueDeck Woodbeam Panels have an innovative, patent-pending reverse wood grain surface for superior slip resistance. Available in Quiet Gray and Dockside Cedar, the incredibly realistic panels are 2' x 4' and come in 1" and 1.5" thicknesses, requiring 16" and 24" on-center supports respectively. With an unmatched 12-year limited warranty and the lowest installed cost in the industry, the aesthetically-pleasing TrueDeck Woodbeam Panels from True Harbor have suggested retail prices starting around $6 a sq. ft. Contact True Harbor, 2145 Cole Street, Birmingham, MI 48009. 248-649-4922; Fax: 248-649-4933. trueharbor@trueharbor.net; www.trueharbor.net. Keeping swim platforms in good condition has now been made easier. On larger vessels, boaters can rely on flat fenders from Aer� to provide superior protection for swim platforms, the stern, and gunnels in almost any situation. Similar to fender boards, these flats are made of heavy-duty materials and were designed to protect the stern or swim platform of larger yachts � thus eliminating platform damage even when docking stern-to, rafting stern-to-stern with another boat or when smaller craft are alongside. Because of its design, the fender will not roll under or on top of the dock or platform. The flat�s relative thinness permits a small step from the tender or small craft to the platform. Because most models come with stainless steel "D" rings on each end and more on one edge, the fenders attach securely and easily. Aer� flat fenders range from an 8' x 1' model to a 16' x 2' model; they are 8" thick and come in charcoal grey with a black wear face. In the development stage is a 3' x 2' model; it will be available soon. Flat fender retail prices begin at $499. For more information, contact Aer�, 12207 NW 35th Street, Coral Springs, Fla., 33065; Ph: 301-324-1380; Fax: 301-593-6158; info@praktek.com; www.praktek.com. Metal fasteners that are used to snap and zip awnings, boat covers and the like into place can really suffer from exposure to water and sunlight. Snaps corrode; zippers jam. However, there is a product from Iosso Products that can keep them in good working order: E-Z Snap Lubricant. It�s a clear coating that protects, will not rinse away, nor dissipate in the heat. Amazingly, it waterproofs and lubricates yet leaves no sticky build-up. Snaps keep strong and zippers move freely. Hinges don�t stick, and hardware doesn�t corrode when boaters use E-Z Snap. This product can be used at the start of the boating season or at the end of it � in preparation for winter storing. Safe and non-hazardous, E-Z Snap has no solvents, silicone, or Teflon, so there is no need for special precautions when boaters apply it. It goes on easily too with just a simple squeeze of the tube to apply what is needed. E-Z Snap is available in a 1-1/2-oz tube for $5.46. For more information, contact Iosso Products, 1485 Lively Blvd. Elk Grove, IL 60007. Phone: 847-437-8400; Website: www.iosso.com. A dead battery or a burned-out bilge pump is usually caused by a stuck or defective float switch. Consequently, there may be a dockside sinking. WaterWitch Model 230 Electronic Bilge Pump is answering this problem by eliminating the problems of outdated and unreliable mechanical floats. Their product uses solid-state technology to avoid a sinking. Some of the problems of a mechanical float have been that they are difficult to mount because they are hidden in a hard-to-access area of the bilge, and they easily foul from debris, fiberglass, material buildup, and sometimes dropped tools. Further, the moving parts of a conventional float can wear out without any warning, and the boat�s owner does not know there is a serious problem until it is too late. WaterWitch 230 has no moving parts. On-and-off delays are built into the switch�s circuitry, eliminating accidental activation and stuttering � often problems in float-type units. How high or low the 2-5/8" x 1-5/8" switch is placed governs pump activation. Then, to clear the discharge hose after pumping, the WaterWitch 230 has a 14-second, end-of-cycle delay prior to the bilge pump�s turn off. Dirty water or a bilgeful of gas, diesel, or oil? This switch can tell the difference. If there are heavy concentrations of any of these hydrocarbon-based fluids, the switch prevents pump activation, thus avoiding a fine from the authorities. This is one of the reasons that vessels of both the U.S. and Canadian coast guards use the 230. Temperature, humidity, electrical noise: None of these affects WaterWitch 230. Further, it will not interfere with autopilots, navigational gear or other electronics. The small, 6-milliamp current draw, which is necessary to provide continuous protection, has virtually no effect on the battery. There is a seven-year limited warrant on the switch. At press time, the retail price of the WaterWitch 230 Bilge Pump Switch is $45.09. For more information, contact WaterWitch Inc., 10744 Rockvill St., Suite 103, Santee, CA 92071; Phone Toll-Free: 800-654-4783; Fax: 619-258-6775; www.waterwitchinc.com. For making either temporary or permanent boat repairs, boaters may find that Ducky Products has "just the ticket" � a Peel-n-Patch. It takes only minutes to apply and cure and can be sanded and painted. UV activated, fiberglass-reinforced, Peel-n-Patch is a self-adhesive patch that works on cracks in the hull, bait tanks, water lines, and sanitation systems. When used to repair exhaust leaks, the dangers from carbon-dioxide poisoning are eliminated. To use, one simply needs to peel-off the backing and apply the patch to the area of concern. When exposed to sunlight or a UV light, the application cures in 10 to 20 minutes. It will adhere to almost any dry surface, is non-toxic and non-flammable. There is no mixing, no gloves, and no mess. 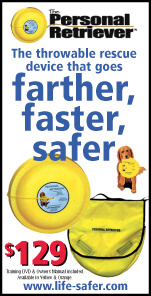 With a maximum rating of 500 PSI, Peel-n-Patch works in temperatures between -30� to 500� F.
Packages include one, 3" x 6" patch that may be cut to size. Any unused portion can be repackaged and stored for up to three months. At press time, the retail price was $11.99. For more information, contact Ducky Products, 530 South Lake Ave., #163, Pasadena, Calif., 91101; phone: 626-797-7226; duckyprod@earthlink.net; www.duckyproducts.com. 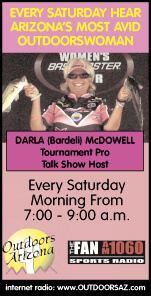 Keeping tackle organized and protected from the elements is a prime concern for anglers. They could benefit from the redesigned 1323 Access Tackle Hatch from Tempress Products, which provides easy access and keeps gear safe and dry. The new hatch, which measures 13" x 23", was designed to work with the Access Hatch Series, and to accompany the 1115 Tackle Hatch and Access Cam line of hatches. For older hatches, it can be retrofitted or purchased as a kit for new installation. This tackle hatch is strong. Anglers can stand on it without worrying as it is constructed of fiberglass-filled polypropylene. The hatch includes a heavy duty, roto-molded polypropylene liner that can be mounted either horizontally or vertically, and it contains four Plano 3700-50 clear storage boxes held securely by molded ribs. It was more than 20 years ago that Tempress first introduced the self-contained, built-in tackle hatch to provide more storage, better organization and improved protection from water and sea spray. 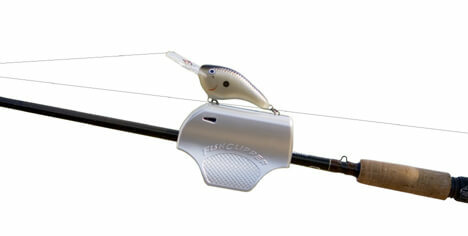 At press time, the redesigned 1323 Tackle Hatch retailed for $189. For more information, contact Tempress Products, 5052 Sharp St., Dallas, TX 75247 Phone: 214-678-9400 (Toll-free 877-234-7466); Fax: 214-678-9430; info@tempress.com; www.tempress.com or www.fish-on.com. An annoying fact of maritime life is that there are difficult hard-water stains with which to contend. Boaters are finding that Water Spot Remover from Ducky Products will protect their craft's finish and keep it clean and stain-free. 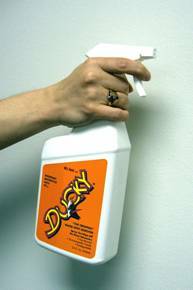 The first product of its kind for the marine industry, Ducky's Water Spot Remover was developed in 1989. The real problem with hard-water stains is that they will, over time, permanently etch any surface, dulling its beauty. However, if they spray on the remover as soon as possible after exposure, boat owners can eliminate potential damage to their craft's finish. Application is simple: Boaters can spray the affected area with Ducky Spot Remover, then wipe it off with a soft cloth. And, owners who use the remover are protecting both their craft and the environment because it is biodegradable. Available in two sizes, Ducky water Spot Remover comes in a 32-ounce spray bottle ($9.95) and in a one-gallon refill ($24.95). 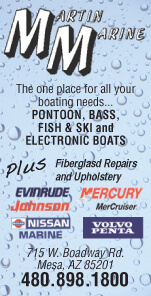 Boaters can find Ducky Water Spot Remover at most major marine retail outlets and online at www.duckyproducts.com. For more information, contact Ducky Products, 530 South Lake Ave., #163, Pasadena, California 91101; Phone: 626-797-7226; duckyprod@earthlink.net; www.duckyproducts.com. Boaters know that fenders protect a boat's gunnels and hull from damage. However, Aer� inflatable fenders found a special application on the 235' MV Fairweather. The catamaran, which is powered by four 4,827-hp diesel engines and four waterjets, is one of Alaska Marine Highway's new fleet of fast vehicle ferries operating in southeast Alaska. It was launched in 2004, but soon the 42-knot vessel developed engine problems that forced replacement of all cylinder sleeves. Instead of removing the engines for re-boring, technicians conducted repairs onboard while the vessel was docked. Twelve, 4' x 5' Aer� fenders were employed to isolate Fairweather from the dock during machining operations. Paul Johnsen of Alaska Marine Highway System said, "We were experiencing sharp impacts when the vessel contacted the dock on heavy weather days in Ketchikan, Alaska. The engine technicians informed us these impacts would cause their in-place machine tool to chatter, so work would need to stop during rough wave conditions. The Aer� fenders were purchased to provide maximum cushion so that work could continue, regardless of weather." The Aer� fender system was recommended by the ship builder because it could protect the vessel�s lightweight aluminum hull, spreading the forces without damaging the side of the craft. "During the machining, we experienced no lost days due to bad weather," Johnson said. The 10 weeks of repair were completed, and Fairweather went back into regular service on June 1. Ranging from 12" x 29" to 4� x 20�, Aer� fenders require minimal storage space because they deflate and fold up. Durable material, high-quality air valves, a variety of colors make these fenders particularly appealing to boaters. For more information, contact Aer�, 215A Westhampton Place, Capitol Heights, MD 20743 Ph: 301-324-1380; Fax: 301-593-6158; info@praktek.com; www.praktek.com. Magma grills have been designed by boaters�for boaters, and according to Magma President Jim Mashburn, "That�s the difference." Mashburn and his twin brother Jerry have advanced their original Marine Kettle into the #1-selling marine grill in the world, and the company is now celebrating its 30-year anniversary with a complete top-to-bottom re-design of the original Marine Kettle � the Marine Kettle 2�or MK2 for short. Magma has added a balanced hinged lid that lets the cook keep both hands free. This lid is uniquely designed not to slam shut if the boat rolls. Magma�s patented Radiant Plate and Dome System allows for easy conversion from grilling to direct, over-the-flame cooking, and the system also distributes heat evenly across the entire grill surface. Another positive is that the new MK2 has solved wind problems and is blowout-proof. Via a "bayonet-style" lock, the Turbo Venturi tube attaches to the fuel source. This permits quick, safe and nearly instantaneous change of the fuel canister. It also gives the MK2 a distinct advantage over wind, improperly cooked foods and, according to Mashburn, the competition. The MK2 also is attractive with its totally re-designed 18-9 mirror polished stainless steel exterior. The stainless steel burner has been re-engineered to more evenly distribute heat and reduce flare-ups. Adding safety, increased durability, and maintaining its attractive looks is the double-lining with two complete layers of stainless steel. There is another addition too: a front-mounted, push-button Piezo Igniter for quick lighting and a new, cast-stainless steel "Stay Cool" handle. Offering a large selection of mounts to fit any boat, Magma�s attach easily for cooking and detach just as easily for stowing after use. They also offer a full line of grilling accessories and grill covers. 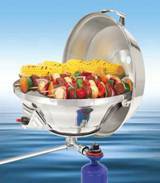 As the world�s largest manufacturer of al-stainless steel grills and the only major supplier of US-made onboard boat grills, Magma�s product line includes onboard boat grills, residential stainless steel grills, grilling accessories, propane accessories, serving tables, fishing and filet tables, stainless steel cookware, boat umbrellas, stabilizers and outriggers. Magma�s MK2 series of Marine Kettle gas grills come in two sizes: the "Original" 15" model that sells for $159.95, and the "Party Size" 17" model that retails for $189.95. For additional information or the name of the nearest dealer, contact Magma Products 3940 Pixie Ave., Lakewood, CA 90712; Phone: 562-627-0500; E-mail: Mail@MagmaProducts.com; Website: www.MagmaProducts.com. In addition to their grilling products, Magma also is the world's leading producer of high-quality fish cutting and serving tables for boats of all sizes. Top fishermen have relied on these durable, maintenance-free tables for over 20 years. Tables range from the 51"-long, dual mounted, First-Mate series, to the newest Econo-Mate tables, which are perfect for bait preparation and smaller catches. Both have a large selection of mounting options. Designed for boats without standard-type rod holders or railings�and for craft without sufficient on-board space for one of Magma�s larger tables, Econo-Mates offer the same convenience of a stable, bait-prep station, but fold completely flat for compact storage. They do not attach to a rod holder or onto a railing; instead, the tables attach to the boat's gunnel with a hinged, stainless steel plate. The plate is inserted into a small, polyethylene mounting pad, which instantly connects or disconnects with a stainless steel push/pull pin. 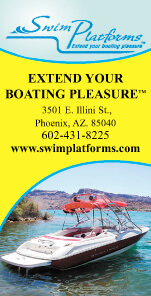 Extra polyethylene mounting pads are available for mounting at multiple positions anywhere on the boat. Further, the table can be readily moved to another location when wind conditions or the boat's location changes. All Magma fish-cutting tables are designed for over-the-side water drainage, thus keeping fishing debris off the deck. For easy access, they are also equipped with blade-safe, filet knife holsters, and storage slots for fishing pliers. Tables are made from the highest-quality, UV-stabilized, high-density polyethylene that is FDA-approved for food service. They are virtually indestructible, easy to clean, maintenance-free, and will not absorb fish odors, crack or mildew. The world�s largest manufacturer of all-polyethylene bait/filet tables and stainless steel boat grills, Magma Products is the only major supplier of these products made in the USA. Their other products include a complete line of fish-cutting and food-service tables, boat and residential stainless steel grills, grilling accessories, gourmet-quality, nesting stainless steel cookware, rail-mounted boat umbrellas, and anti-roll stabilizer systems. The Econo-Mate tables are available in sizes of 12" x 16" and 20" x 16". Suggested retail prices are $47.95 and $59.95 respectively. The tables can be purchased at most quality marine retailers. Contact Magma Products at 3940 Pixie Ave., Lakewood, CA 90712; Phone: 562-627-0500; E-mail: Mail@MagmaProducts.com; www.MagmaProducts.com. Lake Powell, with its awe-inspiring high cliffs and vistas, has long been considered a boater�s paradise. However, the 140-mile-long reservoir behind Glen Canyon Dam has an extreme 250-ft depth and 100-ft seasonal variations in water level; these factors have made the mooring of 25-ton, 75-foot houseboats unreliable. Enter a unique buoy-anchoring field and new mooring buoys from Premier Materials, and the anchorage problems were solved. Wahweap Marina and the Hall's Crossing and Bullfrog marinas in Utah are part of Lake Powell Resorts and Marinas, an authorized concessionaire of the National Park Service. Managed by ARAMARK, the marinas are home to hundreds of houseboats�many up to the lake's maximum permissible size of 75'. In addition to the variations in water level and the lake's depth, the marinas' old moorings and steel buoys constantly needed maintenance. Today, however, each marina contains a new grid-based mooring field using Premier Materials' mooring buoys. Nearly 630 new buoys were installed�250 buoys for boats 55' or less and the remaining 380 buoys for boats up to 75'. The Premier buoys are one-piece, roto-molded spheres filled with void-free EPS foam. Nearly impervious to oil, gas, animal damage and impacts, the watertight, heavy LLPDE outer shell provides a product life of more than 20 years. The buoys, which have buoyancy ratings from 581 lbs. to 1,321 lbs., are available in diameters of 32", 38" and 42". A 12-gauge, molded-in steel tube runs through the center of each buoy to accommodate anchoring and tie-down hardware. All buoys are white with a 2" reflective, blue vinyl stripe for added visibility. ARAMARK's Dean Crane said, "We selected Premier mooring buoys for several reasons. They require absolutely zero maintenance and they have a lot more buoyancy than the old steel units. Plus, in case of accidental contact with the boat, the hull won't be damaged or even marked." 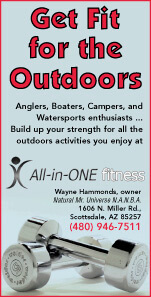 More information on ARAMARK's Lake Powell Resorts and Marinas operations can be seen at www.aramarkparks.com. Premier's heavy-duty mooring buoys range from $270 to $466. Contact Premier Materials Technology, 7401 Central Ave NE, Minneapolis, MN 55432; Phone: Toll-Free 1-800-262-2275; Fax: 1-763-785-1509; info@premiermaterials.com; www.premiermaterials.com. As a Type V inflatable life jacket with Type III performance, Float-Tech� jacket has received U.S. Coast Guard approval, according to officials at Float-Tech Inc., designers and manufacturers of advanced personal-flotation devices. Several concerns such as weight and bulkiness have often discouraged people from wearing PFDs. This jacket was designed to get around those concerns. Its proprietary zip-in liner can be worn alone as a vest or zipped into all-season, lightweight, waterproof, and breathable performance outerwear. Sleeves that zip off, a hidden, brimmed hood, reflective fabric, and access points that allow an internal safety harness are all part of the rip-stop nylon jacket shell, also manufactured by Float-Tech. "Many water-related deaths or injuries are caused by the lack of a life jacket," said Jeff Betz, the company�s chief operating officer. "We designed our automatic, inflatable Float-Tech life jacket to help save lives by making it easier to wear and building in the increased style, comfort, and versatility identified by boaters, fisherman and other water-related sports and industry users as critical." It only takes three to five seconds to automatically activate the jacket�s zip-in liner when immersed in water. Or, it can be manually inflated before entry. "Our product is the first inflatable life jacket to be integrated inside outerwear and pass the Coast Guard's turn-over test," said Michael Lobsinger, Float Tech's chief technology officer. "This means an unconscious victim, face-down, will turn over so the nose and mouth are out of the water." 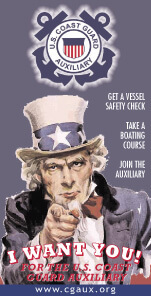 For further information on approval criteria, visit http://www.boatsafe.com/nauticalknowhow/pfdbasics.htm. The USCG-approved Float-Tech life jacket has a suggested retail price of $299.99. For retail locations or more information, contact Float-Tech Inc, 216 River Street, Troy, NY 12180; Ph. : 518-266-0964; Fax: 518-266-0318; sales@floattech.com; www.floattech.com.